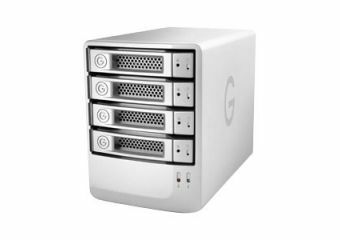 G-SPEED eS RAID solutions provide professional content creators with outstanding performance, high storage capacity, and fail-safe operation at an unprecedented low cost per gigabyte. The compact and whisper-quiet G-SPEED eS features a 3Gbit eSATA interface and four hot-swappable HGST Ultrastar 7200 RPM SATA drives. 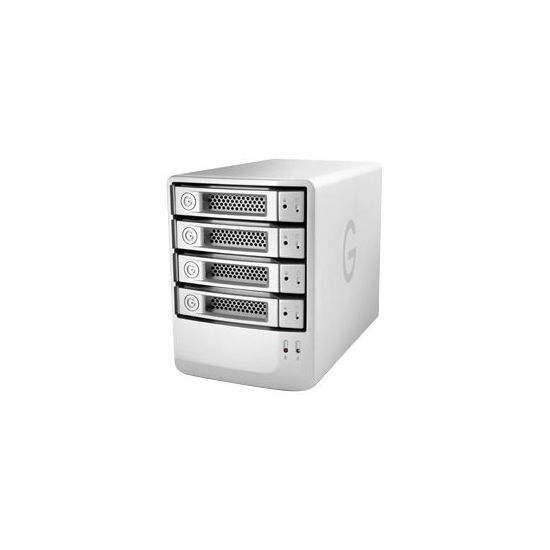 As many as four G-SPEED eS enclosures can be attached to a single workstation, providing up to 64TB of high-performance RAID protected storage. The G-Technology PCIe 4x RAID controller supports RAID 0, 1, 5, 10 and JBOD, and is configured and monitored via a full-featured Web GUI. Udvidelses-båse 4 (total) / 0 (fri) x hot-swap - 3.5"